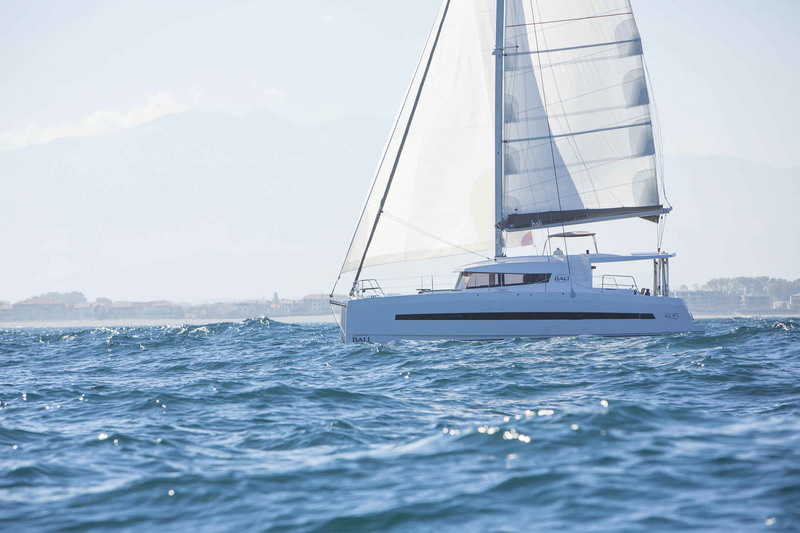 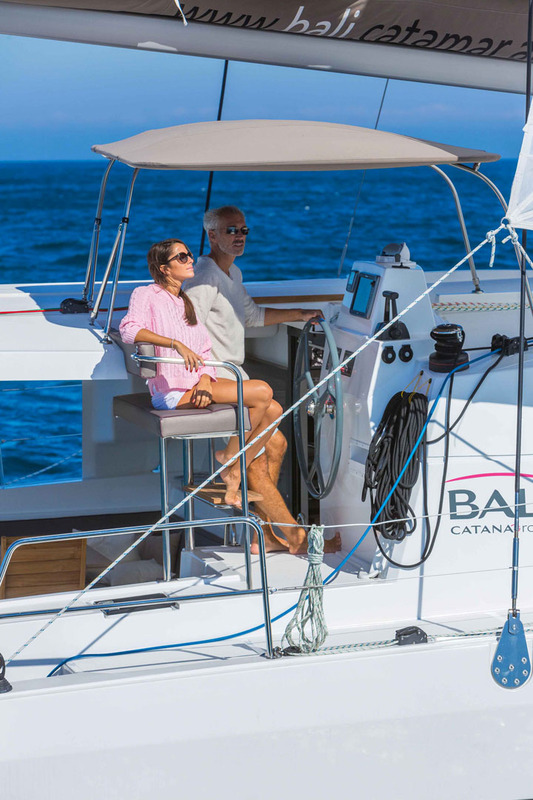 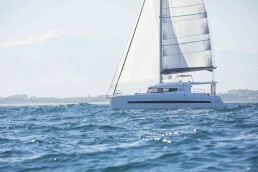 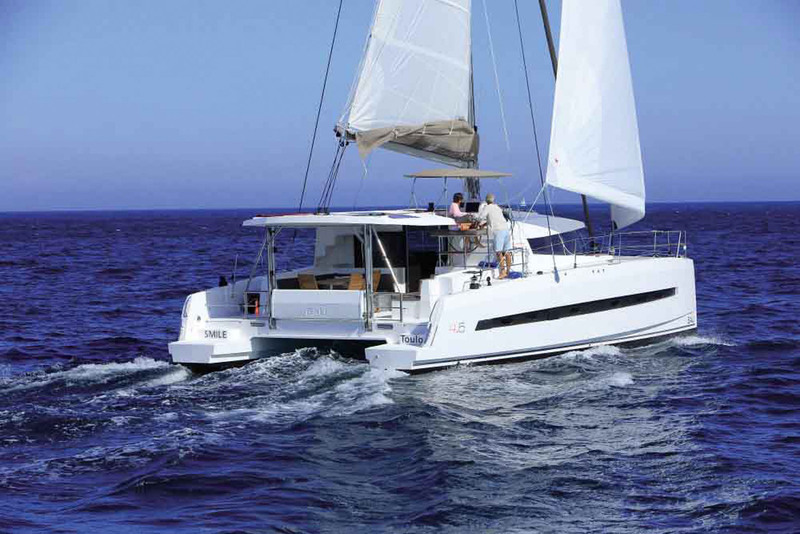 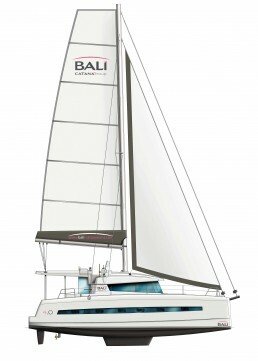 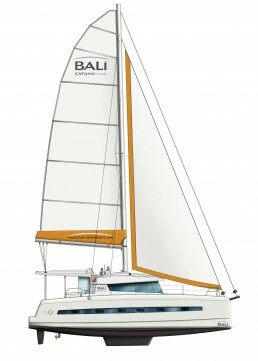 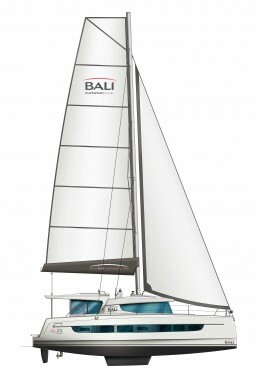 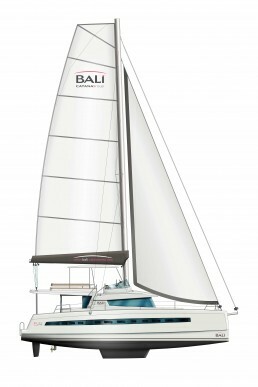 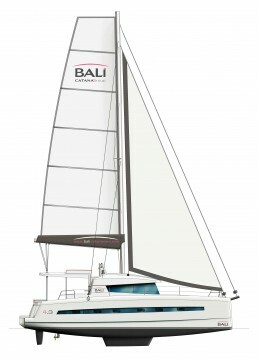 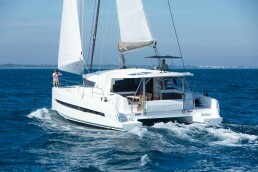 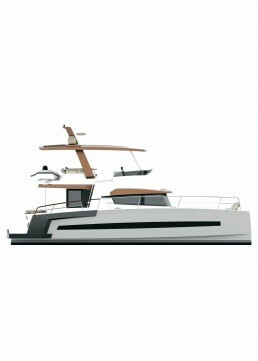 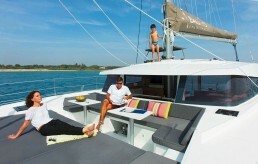 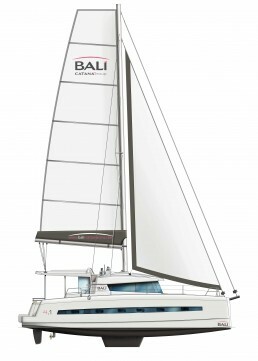 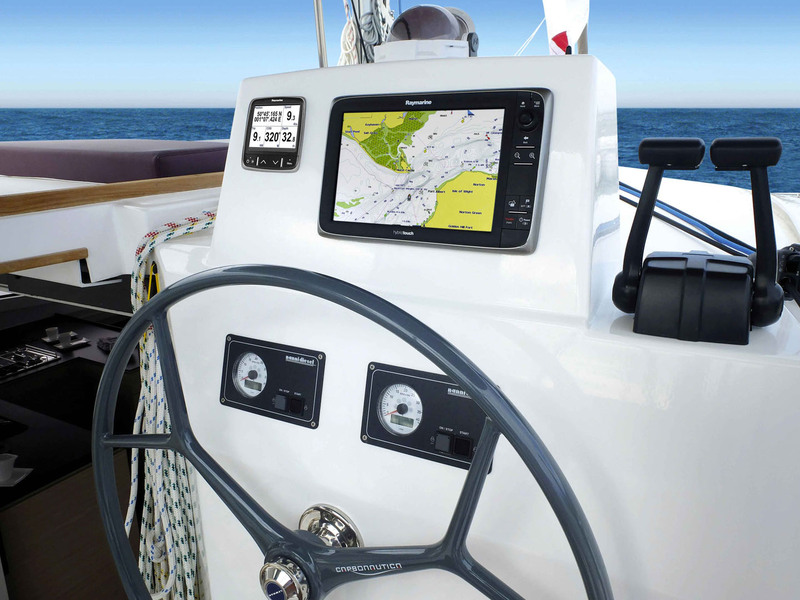 Coming from the R&D department of the CATANA yard, the BALI 4.5 tempts you to the pleasure of sailing in Open Space. 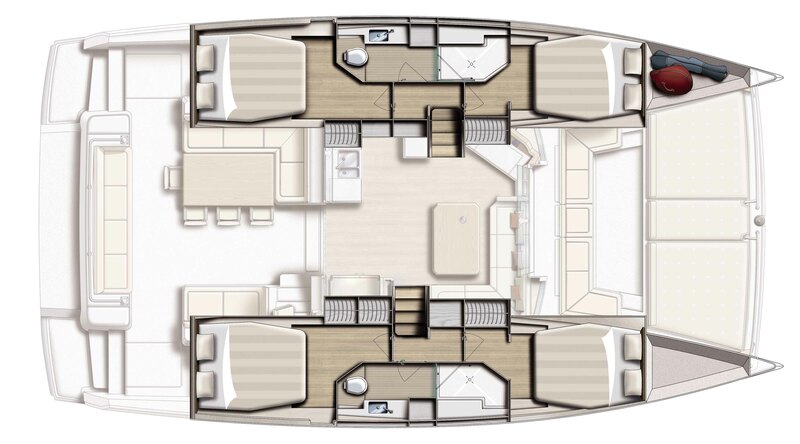 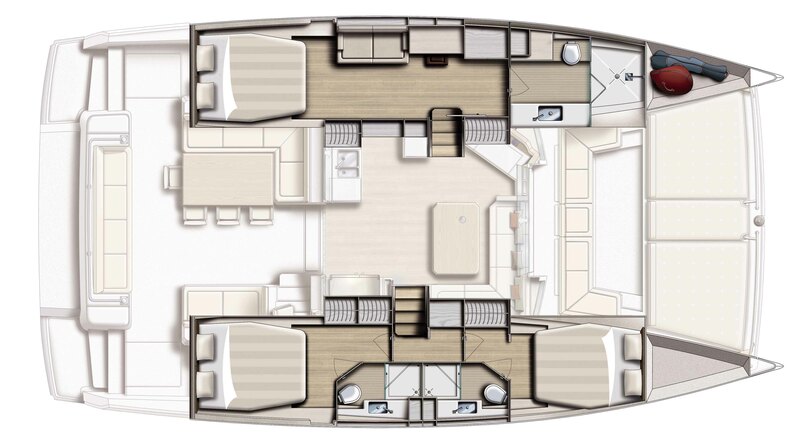 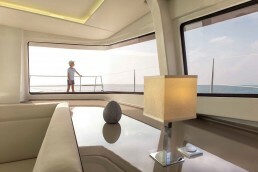 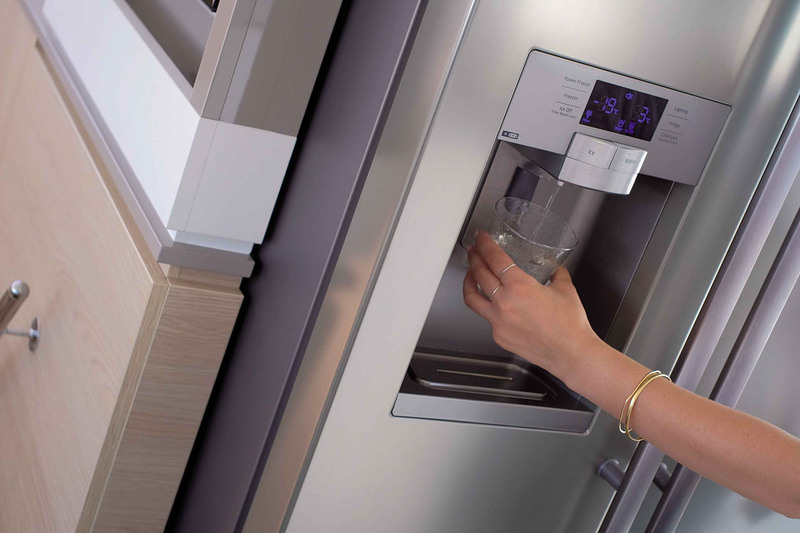 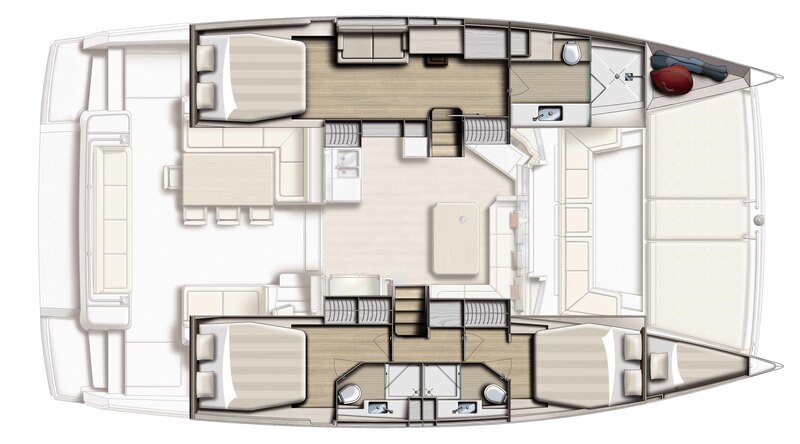 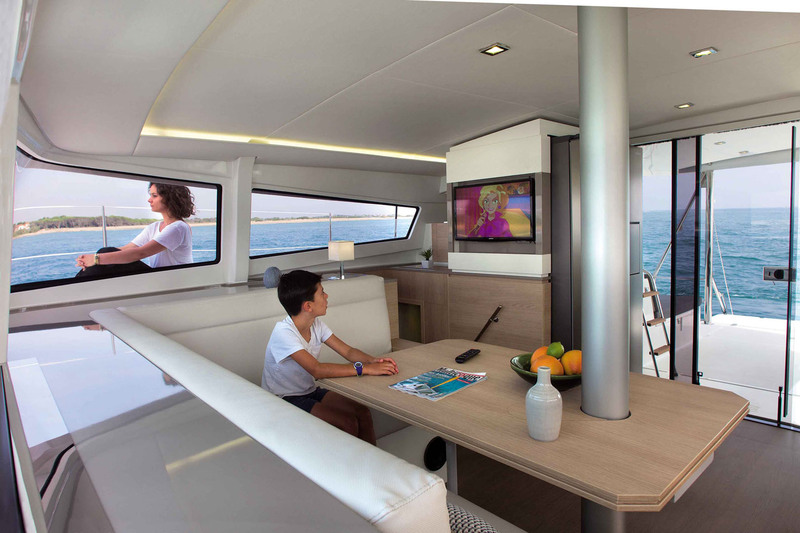 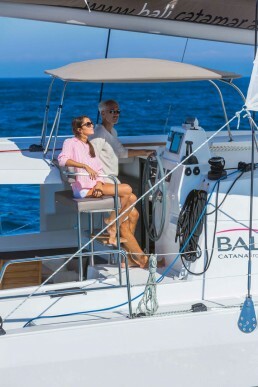 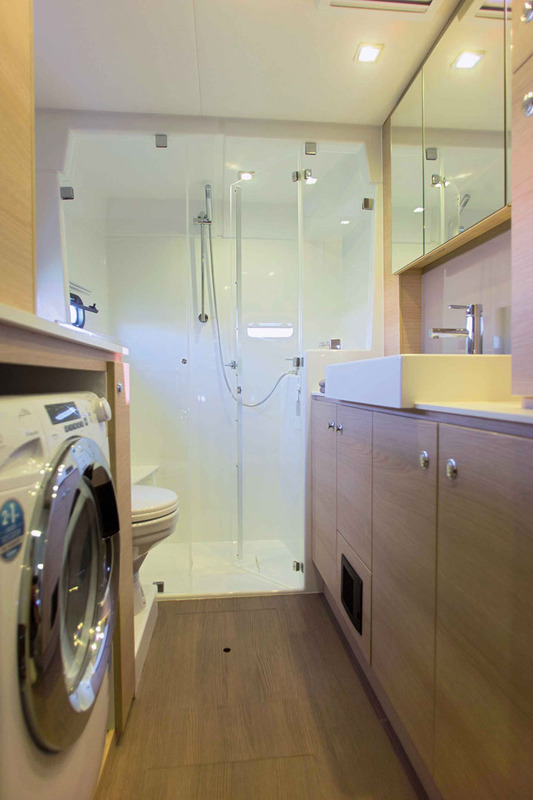 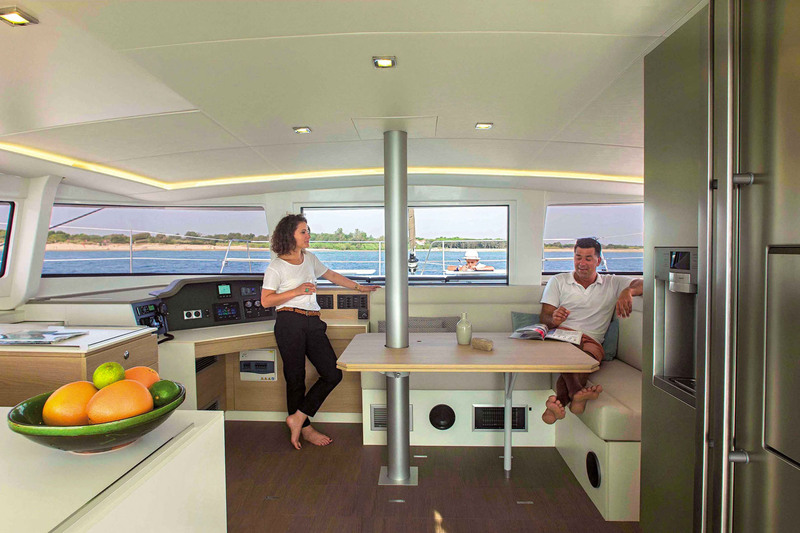 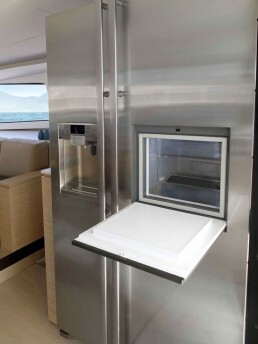 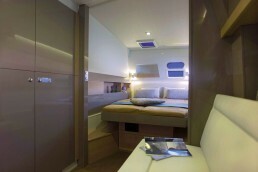 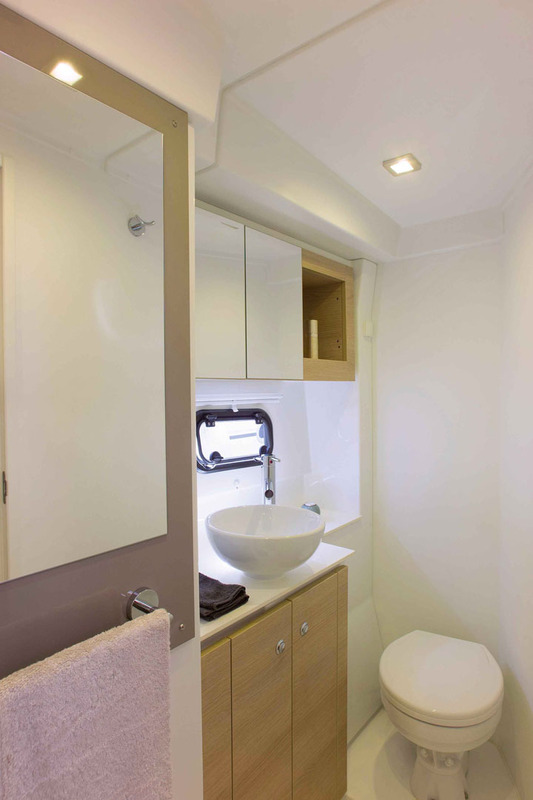 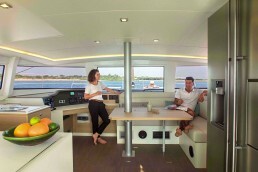 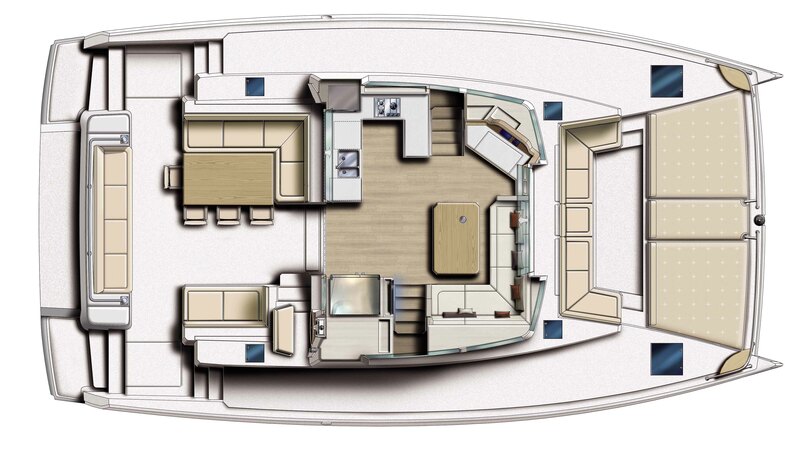 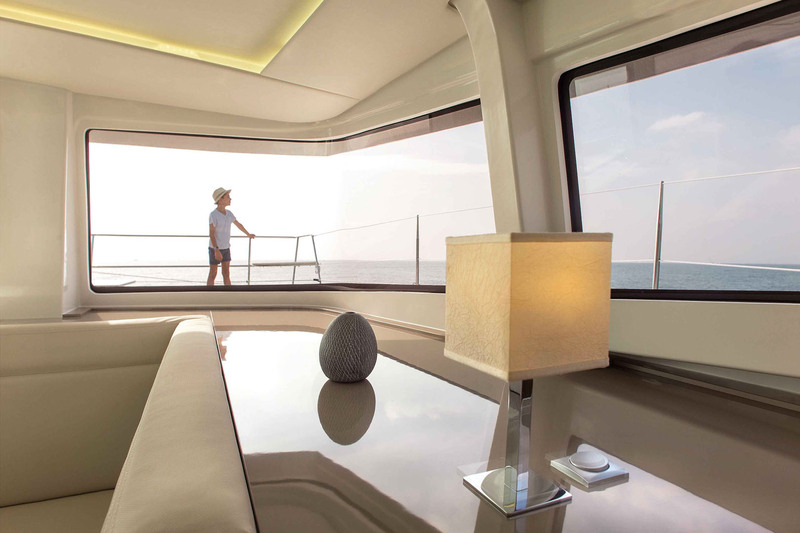 Outside the norms, the BALI 4.5 is simply an innovation: panoramic views, exceptional natural ventilation, a vast forward cockpit with removable tables and sunbathing area, standard or flybridge helm stations, sleek design and décor, huge interior and exterior living spaces, a level of self-sufficiency unique in its class for comfort at sea and unrivalled sea-keeping qualities! 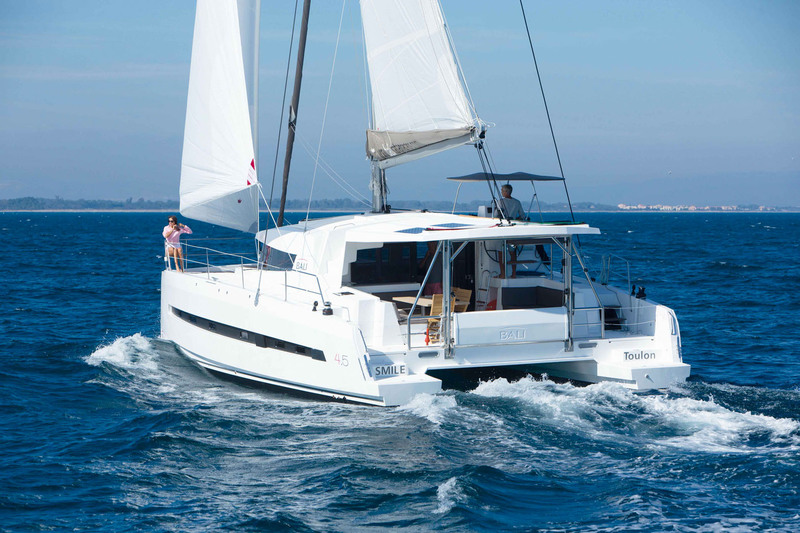 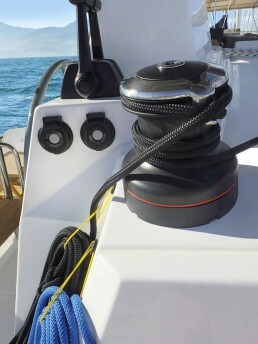 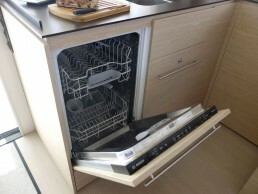 Not to mention the performance and safety you would expect from Catana.